The National Academy of Scuba Educators (NASE Worldwide) is a training organization that provides state-of-the-art teaching materials, programs and leadership to scuba diving professionals around the world. NASE is the only scuba training organization to draw its extensive experience from the fields of commercial, recreational, technical and cave diver training. NASE’s parent company, Commercial Diving Academy, is the world’s largest commercial diving school. We strive to provide scuba training and instruction to fit any skill level - from beginning scuba lessons to online scuba certifications and master scuba diving instruction. Our goal is to change the way the world learns to scuba dive. We provide scuba training for the novice looking for scuba diving lessons as well as higher scuba training for the professional diver looking for rewarding careers in scuba diving. NASE’s competency based approach to scuba training does not dictate what the scuba instructor will cover or how many sessions and scuba courses are necessary before a student has “learned” scuba diving. Instead, our student-centered approach to scuba lessons approaches every student individually and instructs then how to perform the real-world diving skills necessary to be successful and safe scuba divers with the end goal being scuba certification. Scuba training should be based on the way the world’s best diver’s dive — instead of on how a group of self-appointed experts say that they “should” dive, or traditional possibly outdated approaches to scuba training. We offer real-world scuba diving lessons and our scuba instructors bring unparalleled experience to each of their scuba courses. Students internalize what they see and experience during scuba training. 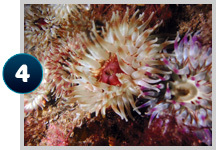 NASE helps make sure this example inspires safe and environmentally responsible scuba divers. One of the ways we do this is by ending every dive with a slow ascent and safety stop. Our scuba instructors also teach divers environmentally friendly practices such as ways to minimize contact with the bottom, as to leave it undisturbed. 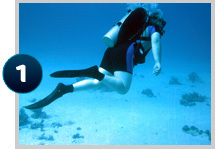 NASE Worldwide helps introduce the world to scuba diving by providing innovative scuba training materials and methods. We provide our members with a profitable business model that focuses on three key factors: safety, integrity and education. 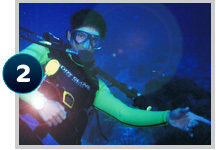 NASE Worldwide strives to build confidence that ensures the enjoyment of diving for all participants. Are innovative, progressive and FUN! NASE Worldwide is a progressive organization building a "common sense" approach to scuba training and scuba lessons. Catch the new wave in diver education! 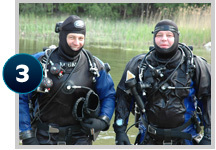 The National Academy of Scuba Educators (NASE) Worldwide was founded in 1982 in Lubbock, Texas. It was the concept of a group of scuba diving enthusiasts and business experts who identified a different approach to scuba diver certification agencies and their business practices. With this new and different philosophy, NASE was born. Launched the NASE Worldwide “Progression Diving” concept to bridge the gap from snorkeling to scuba certification. NASE Worldwide has continued to make progress and has entered into a new era of diver education and diver training. As part of a larger whole, NASE Worldwide will continue developing programs and materials that are second to none and to provide members unparalleled support. The new wave is here.